DAY AFTER DAY, Leo the lion sat in a sidecar bolted to a speeding cart, going around and around the Motordrome Wall of Death’s rickety planks on the Wildwood boardwalk, the salty ocean air blowing through his thick mane as children squealed with excitement. While Leo captured all that attention, a lesser lion named Tuffy lay caged on the boardwalk by day and beneath it at night. Tuffy never felt the wind whipping though his scroungy mane on the Motordrome’s steep wooden walls. No one stroked his fur or scratched behind his ears. On Oct. 5, 1938, the gate that kept predator from public came loose, and Tuffy went on a rampage, killing a Philadelphia man. Tomorrow Morey’s Pier in Wildwood will unveil “Terror on the Boardwalk,” a Halloween-themed attraction that has nothing to do with lions. As scary as it might be, it likely won’t hold a jack-o’-lantern to the terror that gripped the Wildwood boardwalk on that autumn day 73 years ago, when Tuffy stalked the sands in the shrinking sunlight. Joseph Dobish, the Motordrome’s owner, opened Tuffy’s cage about 5:30 p.m. and the big cat bolted, one report said. Other accounts said Tuffy’s escape was a mystery. In any event, Dobish didn’t call police right away. “Women shuttered their windows, children huddled in their homes and men ventured into the streets, armed with guns, revolvers and flashlights to warn them of the approach of the huge beast,” wrote the Wildwood Tribune-Journal. After prowling the barren boardwalk and beaches, the lion actually tried to return to the cage – but the door was shut, the Inquirer reported. “Then he went out into the night again – to kill,” the paper said. Around this time, Thomas F. Saito, about 40, an unmarried Japanese immigrant who spent the summer working at a boardwalk auction house, was walking off the boardwalk near Oak Avenue with his boss’ son, a fourth-grader named Masami Oishi. During the rest of the year, Saito lived at 13th and Porter streets in South Philly with a dentist named J. Kitajama, the Inquirer said. Saito had gone fishing earlier with his boss, and after dinner he wanted to go to his apartment to change his clothes. Masami went along too, and one paper said Saito may have slammed a car door, startling Tuffy. “Saito was about to enter his automobile when he heard a terrific roar,” one newspaper reported. The New York Times said Tuffy was crouching silently before he pounced. Another paper said Saito may have reacted at the last moment, shoving the boy into the car to protect him. The Wildwood Tribune-Journal gave Oishi a byline to recount the horror. Tuffy then dragged Saito into the dark maze of pilings beneath the boards. Alarms and screams rang out, and a posse of police officers, Boy Scouts, firefighters and other able-bodied men took to the streets. Wildwood cops Millard Campbell and John Gares followed blood and “shredded pieces of Saito’s clothing” beneath the boardwalk, the Press of Atlantic City reported in recreating the drama in 1975. “Campbell saw a shadow – then the shadow began to move,” the paper reported. Gares later searched along the dimly lit boardwalk, near what is today Mariner’s Landing Pier, when he heard something. “It was the lion. He was closing on me,” Gares told the Tribune-Journal. Tuffy was just a few feet from Gares and was “fueled by the scent of blood in his nose,” according to the 1975 account. “There was a terrific roar, and a body launched itself through the darkness,” a paper reported at the time. If Gares missed, he’d be a goner. But he was dead-on, hitting the lion in the eye. Tuffy’s last charge ended at Gares’ feet. He and Campbell later posed with the cat, which weighed anywhere from 250 to 600 pounds, depending on the newspaper report. 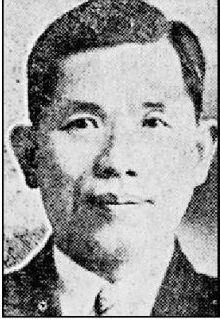 Masami Oishi cried hysterically on top of Saito’s car and skipped school the next day, when Tuffy made the front pages of the Inquirer and the New York Times – just below headlines about Hitler. Gares was “deluged” with interview requests and marriage proposals, the Wildwood paper said. Dobish, Tuffy’s owner, was charged with manslaughter, but a grand jury asked the court to enact laws banning ferocious beasts from the boardwalk rather than indict him. Leo, who rode in the Motordrome next to Dobish’s wife, was sent to the Philadelphia Zoo. Leo the lion, in action. Legend has it that Tuffy’s head was stuffed and hung for years in an unnamed Pacific Avenue watering hole. The Wall of Death, according to a help-wanted ad in 1946, lived on for a few more years. “Riders wanted,” the ad in Billboard read.